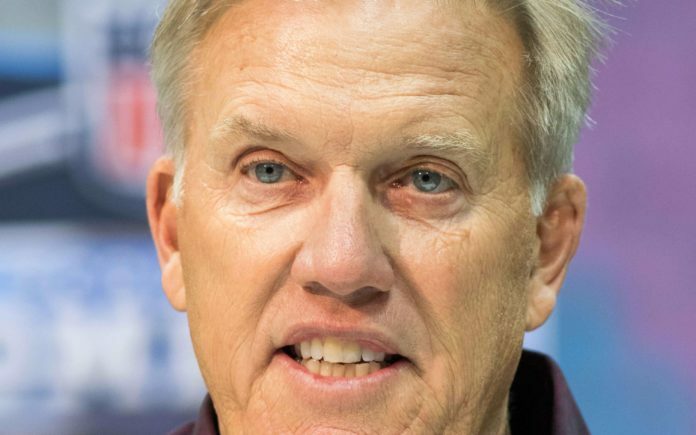 John Elway at the Combine. Credit: Trevor Ruszkowski, USA TODAY Sports. The Denver Broncos are throwing money around like it grows on trees. When deciding to move on from players who are still under contract, one downside is the “dead money” which penalizes teams for doing so. Currently, the Broncos have effectively taken $7.6 million away from their 2019 salary cap in dead money, and that could jump up to $17.6 million depending on what they do with Case Keenum. NFL average is about $3.5M. Bucs have the least with around $100K. Keenum’s contract calls for a more cap-friendly — yet still large — $3 million hit of dead money if Denver is able to trade him away by June 1. Why is the number so large? It’s a bargaining chip from the player’s perspective when they sign. Keenum signed a two-year, $36 million deal last year and writing in that much dead money incentivizes the team to keep him around and fulfill that contract. Denver, though, has seen enough of what Keenum can do and is likely now quite actively trying to trade him away. 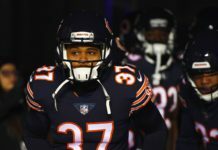 And even if they are able to trade him, their $7.6 million number will likely grow anyway because of waiving Brandon Marshall, which would come with a $4 million hit of his own. That alone would push Denver into No. 2 in the league. 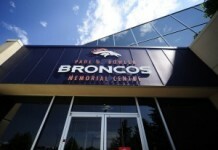 The Broncos are still deciding on whether or not to restructure his contract, which may happen, so stay tuned. At $7.6 million of dead money — made up from Demaryius Thomas ($3.5M), Menelik Watson ($1.3m), Paxton Lynch ($1.3M) and more — the Broncos are cutting into their 2019 salary cap. However, they luckily are rolling over $8 million from 2018 in unused salary cap, meaning that dead money will be wiped off the board unless they add to it. Currently, Denver has $36 million of salary cap space to spend going into 2019, with a ton of voids to fill in free agency and the draft. How they move on from Keenum will certainly affect that number going forward; if they can trade him by June 1, it will mean an $18 million increase to the cap for 2019. Of course, teams saw how poorly Keenum played last year and will be reluctant to trade for him, painting the Broncos into a corner a bit. We’ll have to wait and see what John Elway has up his sleeve for Keenum, but the team simply can’t keep him on the team as the backup making $18 million (with a $3M signing bonus). 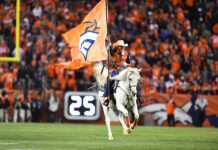 Cut him, and they’ll add $10 million to the dead money number, pushing it to $17.6M, but the Broncos would add $11M back to their salary cap for this year, pushing it to $47 million. Denver needs an inside linebacker, two starting cornerbacks, possibly a new safety, they need depth on the defensive line and at edge rusher. Offensively, the Broncos need to bolster that offensive line and find a tight end who can stay healthy. Simply, Denver is going all-in, as signaled by the trade for Joe Flacco. They need to be really smart with their money going forward if they’re to sign all the players needed to make a run back to the playoffs this year.